According to her, “we already have the list of the five banks' debtors with us in EFCC and they have just one week to bring in their Cheques or drafts to us or we begin their arrest and prosecution as well as confiscation of their assets because they are people of enormous means”. She explained that the anti-graft agency has to go tough on them because of the urgent need to salvage the financial sector from total collapse and also restore discipline in all stakeholders in that sector. “What we are doing with the case of the sacked bank executives should be a strong signal to all the debtors no matter who they are, that we mean serious business on the recovery of these funds. We have been doing it quietly before now because we already made some recoveries but now it is time to go full blown with them. No one is above the law and our law is no respecter of persons”, Waziri stated. The anti-graft agency's boss stressed that it is in the interest of the debtors to comply with the directive rather than wait for arrest and prosecution. “I will advise the debtors whose names had already been published by the Central Bank to take advantage of this ultimatum by issuing their Cheques and drafts in the name of EFCC for proper and coordinated recovery after which we restitute by returning the funds to the appropriate banks”, she added. Speaking while addressing a forum of lawyers in the media at the NBA conference, Mrs. Waziri challenged members of the bar, the bench, the media and the general public on the need to come together to combat the evils of corruption, in the overall interest of the nation. She said that owing to the “pervasive and debilitating effect of corruption on national development,” it was important for all stakeholders in the polity to work together to frontally attack all the evils of corruption. “The bench, the bar, the media and the public are all stakeholders alongside others in the war against corruption .Every stakeholder has to play its role within the ambit of the rule of law , due process and the constitution”, she said. On the part of members of the bench, the EFCC's boss charged judges to remain impartial and incorruptible to be able to adjudicate on matters of corruption. “In adjudicating over cases , the judge must act as an impartial umpire”, she said adding that “the judge also has a duty of probity, honesty, objectivity and fairness in the determination of the matters before him”. In addition, lawyers, she said, should always remember that they are “first and foremost ministers in the temple of justice” and should always eschew selfish considerations in the prosecution of cases. Waziri frowned against un-ethical practices among some members of the bar and charged them to be driven more by patriotic and honorable desires, removed from pecuniary interests. “It is now a shameless art for many a defence counsel to exploit and abuse the judicial process to stall prosecution of cases by frivolous and endless interlocutory applications, and appeals. Some engage in blackmail and intimidation of judges, and all kinds of schemes which delay and frustrate trials”, she said. 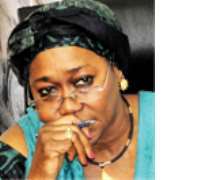 Waziri also charged the media to continue to discharge its roles without fear and favour. She also emphasized the need for the media to always operate within the confines of the rule of law. “In carrying out its role, the media should not usurp the role of the court by carrying out trials and reaching conclusions on the guilt or otherwise of persons who are accused of having committed any offence that relates to corruption or any other on the pages of newspapers or electronic media”, she stressed.